Plastic surgery is a medical specialty that developed largely in response to injuries during the first and second World Wars, to deal with the needs for facial reconstruction after injuries. Today plastic surgery is a separate specialty, with its own Board which issues certification (The American Board of Plastic Surgery). The scope of the specialty has expanded to cover all areas of the body and also includes today surgery purely to improve the aesthetic appearance of various areas, surgery to correct congenital abnormalities, surgery to reverse the changes of aging, surgery to reconstruct complicated wounds after trauma and cancer surgery, and many other innovative techniques, such as grafting or transfer of fat from areas where it is excessive to deficient areas or areas that we wish to augment such as the lips, cheeks, breasts, or buttocks, microsurgery to transfer living tissue from one area to another or to replant amputated parts, etc. What Makes A Plastic Surgeon Different From Other Surgeons? Plastic surgeons are the experts in wound healing and aesthetics of the body in all areas. 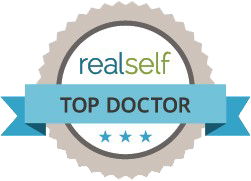 Plastic surgeons are trained in surgical techniques that are more precise and gentle than any other surgical specialty. The field of plastic surgery is always changing and new techniques are always coming out. An experienced board-certified plastic surgeon is best able to assess these new techniques and decide which are of value and which need further study. The latest technique is not necessarily the best. Often the older tried and tested methods are still the best. Training for certification by the American Board of Plastic Surgeons is very vigorous and demanding. After completing medical school and passing the necessary licensing examinations one would then usually complete training in general surgery, typically spending five years to do this. After this one would need to enter a Plastic Surgery Training Program which is very difficult because of the competition for these training slots. This would take another two to three years of training. After a period of about a year in practice, the prospective plastic surgeon would need to pass written and oral examinations in plastic surgery to achieve Board Certification. Today there are many doctors who present themselves as “plastic surgeons”, but they are really not fully trained in plastic surgery and are often trained in totally different fields with very limited training in the plastic surgery procedures that they are offering the public. It is best to check that your plastic surgeon is in fact certified by the American Board of Plastic Surgeons, to ensure that he or she is adequately trained and skilled. Being a Board Certified Plastic Surgeon many of my clients ask, “why is it called ‘plastic surgery’?” The origin of the word plastic is from the Greek word “plastikos”. This word means to mold and reshape. (This is also the source of the word “plastic” which means a synthetic polymer.) Many of the plastic surgery procedures involve reshaping the tissues or their supporting structures to accomplish the changes that are necessary. So plastic surgery does not always mean that synthetic material is used although to accomplish the changes we seek we do occasionally use implants of synthetic materials. An experienced plastic surgeon should be able to assess your needs, taking into account your personality and characteristics of your particular configuration of your body, and give you honest advice which is in your best interests. He or she should then be able to transform this advice into reality for you.